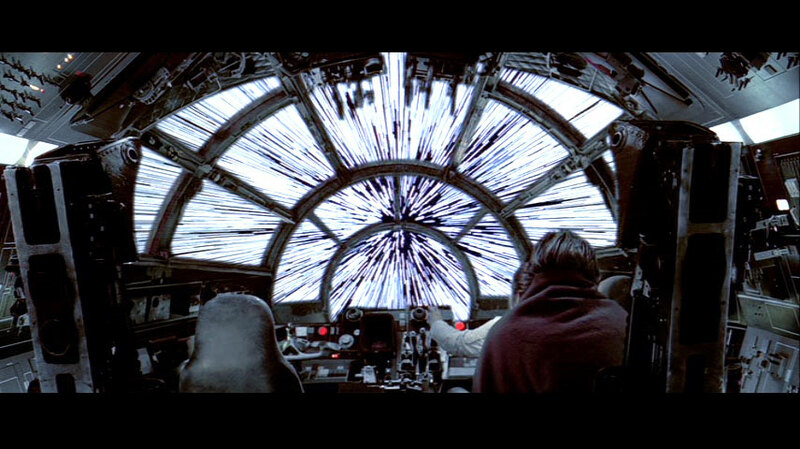 We've all seen the streaks of light in Star Wars that have become an iconic visualization of what faster than light travel would look like, but alas, science has stepped in to show us what it would actually look like. We all know what FTL (faster than light) travel looks like – the light from stars extend outwards as we catch up with the light beams, and the sky is filled with bright white streams… right? Turns out that's not really what happens, and science has stepped in to correct us once again with a much less dramatic reality. A team of physicists out of the University of Leicester have pointed out that those streaks of light would be nowhere to be seen, all thanks to the Doppler effect. The Doppler effect, which is usually experienced by us through sound, is the notion that as a moving object emits waves, those waves exhibit a frequency change due to the movement. Waves are compressed ahead of the object and extended behind it. The relative motion of the object in essence "speeds up" the waves leaving the back of the object, and "slows down" the waves ahead of the object. The effect can be observed in any kind of wave, from sound, to the particle waves of photons that make up light. The way this applies to FTL travel has to do with the visual spectrum. The part of the electromagnetic waveband which falls in the visible spectrum is actually quite narrow; we can only see light that falls between approximately 390 to 700 nm wavelength. When we accelerate to light speed and beyond it, the Doppler effect will alter the frequency of the light so it falls beyond the visible spectrum, going well past ultraviolet light. The stars, which may still indeed exhibit that streaking behavior, would be invisible to us. This is what true speed looks like – woo hoo!